People tend to be very passionate about different things in life: sometimes they are truly passionate about their job, sometimes their one passion is their family, and sometimes it is their hobbies and interests. 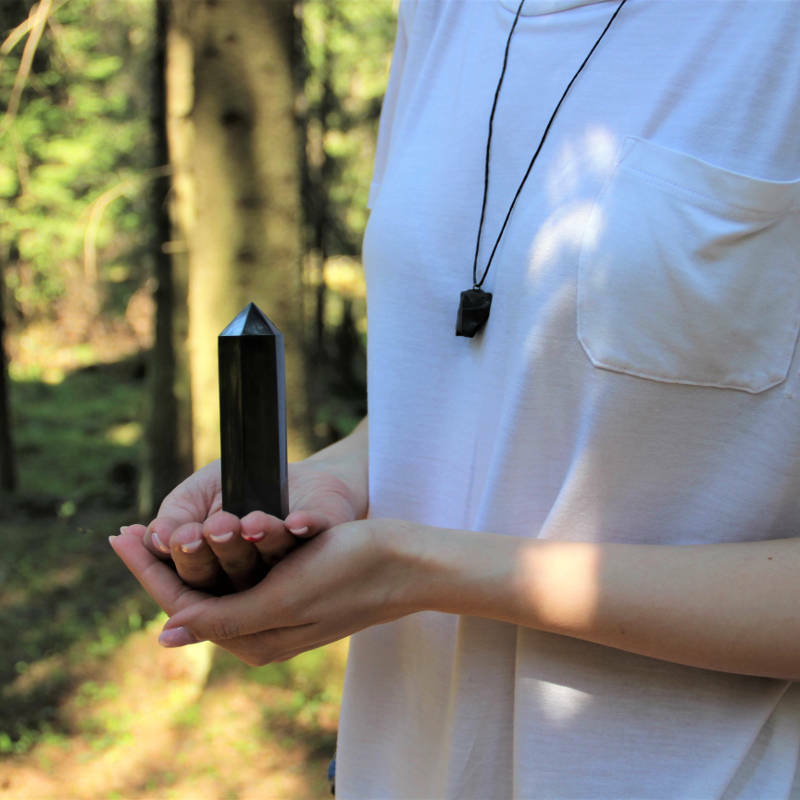 We at Karelian Heritage came to a conclusion: we are super passionate about shungite! So here are the signs that will help you to determine: Are you as much a shungite enthusiast as we are! Have you ever caught yourself thinking about new shungite products just out of nowhere? Or waking up in the middle of the night with the single idea: “Man, I’ve got to buy that new shungite Crescent pendant RIGHT NOW!” Or maybe just the occasional “I should check on the new arrival and collections of shungite FOR SURE!” That is definitely a reason to accept in your heart that you are a shungite enthusiast. Probably when you bought your first shungite item you’ve studied a lot of shungite-related information on the Internet. Possibly after you bought your fifth shungite item, you’ve acquired some mineral- or crystal-related book. Or maybe you already have a large collection of shungite items and a whole library of books about rocks and gems. Because when you are truly passionate about something, you wish to grab any snippet of information you can lay your hands on. Sometimes we find out about things or people we will grow to be very passionate about so randomly and out of nowhere that you can’t help but wonder how we couldn’t learn about them years ago. We all have learned about shungite in different ways, but there is a big chance that it was very random. But now the tables have turned and with our emerged love and enthusiasm for shungite we just feel obliged to spread the knowledge about this wonderful stone. We may be little bit annoying while doing that, but that is the magic of having a passion and beloved hobby in your life. Walt Disney was drawing cartoons almost every day even being the head of a major entertainment company, and, as another example, Stephen King has been writing at least 1000 words every day for almost 60 years now. Arguably, our hobby and passion is a little bit more modest than being a world-famous cartoonist or a critically acclaimed writer, but this magical stone truly gives warmness to our hearts and brings harmony, joy and happiness in our everyday lives. 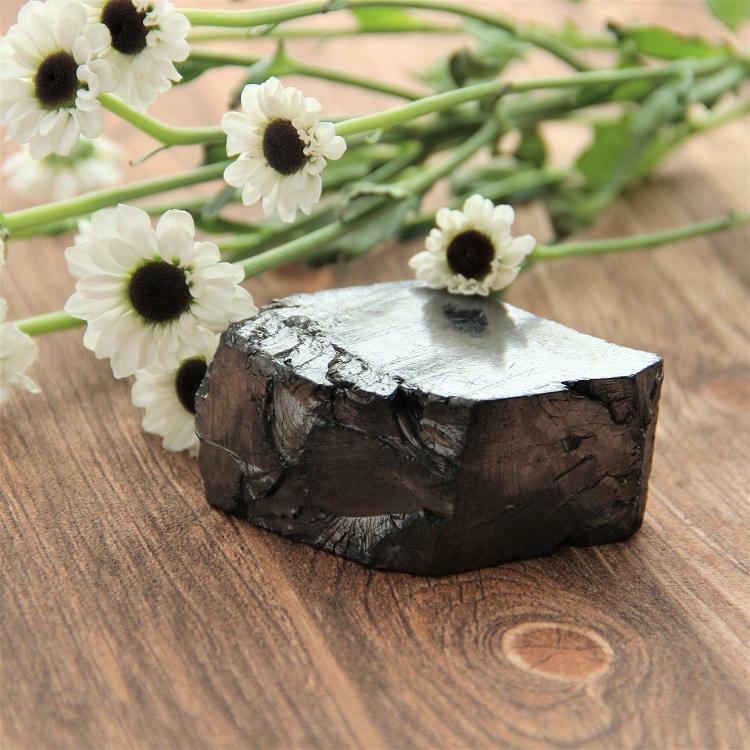 No matter how you devote your time to shungite, whether through meditations or some other rituals, water purification or exercises, when you are truly passionate about this unique stone, you will always clear your schedule to spend your time enjoying famous properties of shungite stone. We at Karelian Heritage are super guilty of this one too. We know that the research and design departments are working very hard to create something new every day, but it would we would be foolish not to admit, that we have no idea whatsoever to what they will bring us next. It is like waiting for the Christmas presents every week, but it is not only for you but it is also for your favorite clients to appreciate. All the new shungite products of different sizes and shapes, brand-new exclusive figurines, pendants, bracelets and necklaces really pump us up every time we see it. We hope you feel the same way and wait for stylish and fashionable updates on the last shungite products. Have you noticed that your friends try not to bring up shungite in the conversation? Or maybe try to change the topic every time you start bragging about your new shungite necklace? Because probably they know that you can talk about your favorite mineral for 24 hours straight, tell them all about shungite history, types of shungite, different products you have already acquired and the ones on your wish list, what properties shungite has and how it helps you every day. But don’t be alarmed: that doesn’t mean that you are a bad interlocutor, in fact, it means that you are very passionate about your hobby and want to share it with your close ones. If you set yourself a goal to buy the newest products of your favorite shungite, then not blizzards, not hurricanes, not even failed Internet connection will prevent you from doing that. Or if you have a ton of work to do, you still will always find a minute to replenish your energy with the healing properties of shungite. Even at night, you may keep shungite near your pillow, to make use out of shungite although you are asleep. That devotion clearly shows that you are very enthusiastic about this unique mineral. That said, whether you agreed with our points and also proclaimed yourself to be a shungite enthusiast, or you thrive to be able to bear that name, you can always prolong your relationship with this magical stone. Get shungite now for protection, well-being and great mood!